Home Interior What Vintage Pieces Are In? What Vintage Pieces Are In? Are you also upset, when you see the furniture or home accessories, you threw away some time ago, on sale somewhere? Venture into the last century and look at the golden age of design. 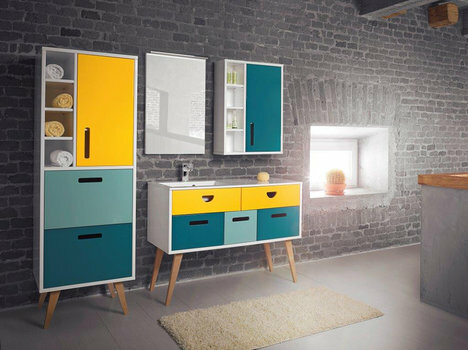 We have found the author´s accessories inspired by the 50s, 60s and 70s, as well as originals and repaired pieces adopted for the contemporary living; they have a chance to apply again in a modern interior. Nowadays, the interior designers often keep to the combination of vintage design and pure modern, so that the vintage style itself was not too historical. 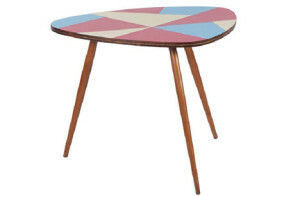 They combine wood and metal, upholstery and simple colours or the 50´s “Brussels” design and the current Nordic style. If you do not find the furniture in the stores, watch e-shop´s offer. You can surely choose something there. 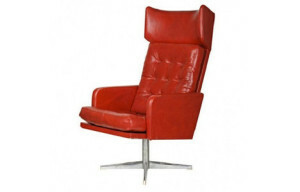 It is not very common to buy furniture online here, but it is certainly worth a try. The main reason is, you will not find the most beautiful pieces from international designers in a normal store, but you can also save money by buying online. The design lovers have not fortunately lost hope for the pieces of old furniture and they tried to give a new life to them. The main idea is usually to save the old furniture, the feeling of necessity to return the refinement to the furniture, which has been long forgotten in attics, barns and basements. “This is our goal. We want to give a new body to the forgotten soul of the furniture, to let it impress again; in a different context, in a modern form,” Robert Dvorak from the designer brand Lukas & Robertson says. They use the traditional work techniques and the classical and modern materials to repair the furniture. They give a colour finish to the wood and complement it with leather, fur and sculptural elements. The result is always an original piece noticeable in every interior. Whether you need to furnish an apartment in a particular style, or vice versa, you want to get rid of old pieces of furniture or accessories from your ancestors, there are auction houses with interesting auctions for you. One of the auctions took place at Designblok and you could see or buy there the 20th century design classics from the design icons of the early 20th century until the 1960´s and 1970´s. You can see some of the unique pieces here. And when looking for old design pieces, you should not forget antique shops, junk shops and bazaars, where you can often discover true treasures. 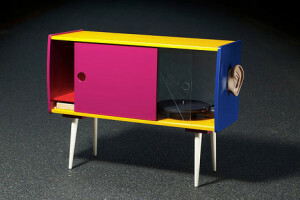 The Czechoslovak 20th century design is a matter of professional interest to some young people, including Maxim Velcovský, Adam Karasek and Jiri Mrazek. They pay attention to the styles of the second half of 20th century, 1960´s, 1970´s and 1980´s above all. They also run a design e-shop. The vintage furniture is also available in the e-shops retro-style or retroobjects, where the vintage shop Moare offers furniture, lamps, glass and ceramics, among others.